Republican Randy Brock (left) and Progressive/Democrat David Zuckerman, candidates for lieutenant governor, debate Thursday at Vermont PBS. Through five campaigns — for state auditor, governor and state senator — race was never an election issue for Republican Randy Brock, who is African American. But it keeps resurfacing as he competes for lieutenant governor with Progressive/Democrat David Zuckerman, who is white. 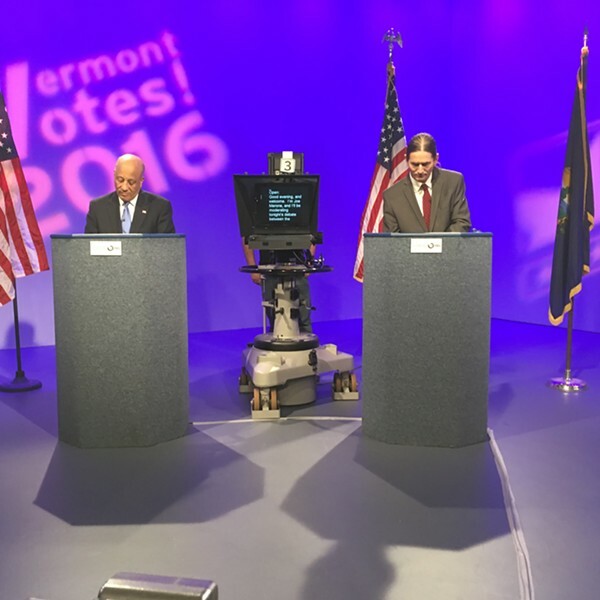 Sparring between the two over racial sensitivities escalated Thursday night during a debate on Vermont PBS. Last month, Brock accused Zuckerman of politicizing the race issue. At Thursday’s debate, Brock pressed the issue further and Zuckerman lashed back. Brock accused Zuckerman of making a series of “derogatory” and “offensive” racial comments. 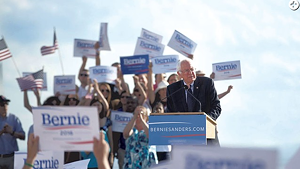 In particular, he pointed to a comment made earlier in the campaign in which the ponytailed Zuckerman mentioned that stereotypes over a person’s race or hair length are worrisome. “When Sen. Zuckerman refers to an equivalent of making judgments about people’s race compared to making judgments about their long hair — that’s offensive,” Brock said. Zuckerman countered, accusing Brock of working from a right-wing playbook. “I have not made racial charges or attacks on anyone,” he said. Zuckerman said he’s long talked about ending the use of the term “black market” because it perpetuates a negative stereotype. Later in the 90-minute debate, when a Johnson State College student asked the candidates how they would make college more affordable, Zuckerman said part of the solution is to spend less money on incarcerating people and more on higher education. “In Vermont … we have rates that are 6.9 percent above the national average in proportion of African Americans in prison versus white folks in prison, often due to unjust racial prejudice and profiling,” Zuckerman said. Brock dismissed Zuckerman’s numbers — and his point. “When you look at statistics quoted by politicians, you should always remember that 87.5 percent of those statistics were made up on the spot,” he quipped. The statement was surprising given that Brock moved to Vermont from Philadelphia to attend Middlebury College in the 1970s. Editor’s note: Terri Hallenbeck was co-moderator of the Vermont PBS debate.